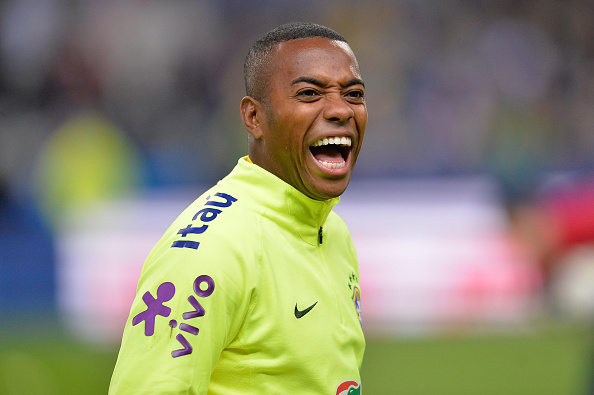 Brazilian Serie A champions Cruzeiro are reportedly in talks to sign footballer Robinho as they move to bolster their squad for the Copa Libertadores knockout phase. The 31-year-old is currently on loan at Santos from Italian club AC Milan in a deal that expires in July, reports Xinhua. Cruzeiro officials are negotiating directly with the Italian club to secure the winger’s signature in the coming days. Robinho has scored 15 goals from 34 matches since joining Santos last August. Cruzeiro are also understood to be keen to sign Robinho's Santos teammate Lucas Lima. The club will face Brazilian rivals Sao Paulo in the first leg of their Copa Libertadores round of 16 clash on Wednesday. They will begin their Brazilian Serie A title defence against Corinthians on Sunday.